Please join us on Saturday, April 5th at the Clearwater Senior Community Center for a night of great music! "Music At The Center" will be taking place of our normal monthly "Jam Sessions." It will be the first Saturday of every month. 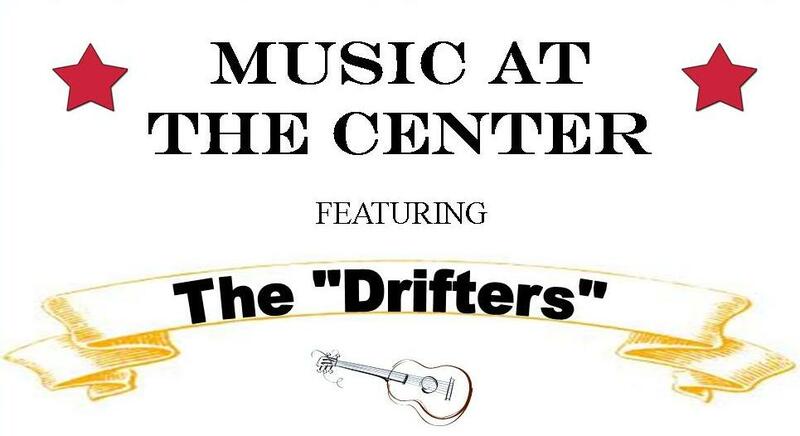 We will have music by the "Drifters." There will be an open mic at intermission for those who would like to play a song or two. Bring a snack to share and come ready for a good time. If you have any questions please call the Center at 620-584-2332. Want an easy way to raise money for the school from the convenience of you home? Get the Shoparoo app on your mobile device and start fundraising! Shop at any grocery or general store (anywhere groceries are sold), snap pictures of the receipts with the free app and your school earns money for each receipt picture taken. 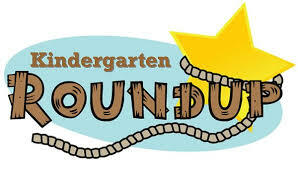 An informational meeting to introduce next year’s kindergartners and their parents to our school is set for Tuesday, April 8th at 6:30 at Elementary West. There will be pre-enrollment forms that will need to be filled out and turned in that night to start the enrollment process. Health forms will be given out to take to the doctor and birth certificate forms will be available, if needed, to send to Topeka. Physicals and birth certificates are required before starting school. We will have Brian & Joy Ford, missionaries in China, share on March 22 at 6pm. Sunday morning, March 23, during the Sunday School hour(9:45 am), Evan Seiwert will speak about Navigators. Dean Chollar will be with us during the Worship Service (11am) to teach and share the latest news from Crossway Ministries. We will finish the conference, Sunday night at 6 pm, with Chad Vitarelli. Chad ministers thru Partners in Discipleship in SE Asia and India. For more information please contact First Baptist Church of Clearwater at 620-584-2058. Ladies (18 and older) are invited to the Spring Proverbs Womans Brunch at the First Baptist Church of Clearwater, on Saturday March 29th from 10 am to noon. We will have a wonderful time gathering together for delicious food, devotional, a fashion show, a craft, and a popular plant exchange. Please RSVP to 584-2058 by March 26th. Every month the Clearwater Chamber of Commerce offers a Coffee Social. The Coffee Social is for Chamber members or anyone in the community who is wondering what is happening in the Chamber. 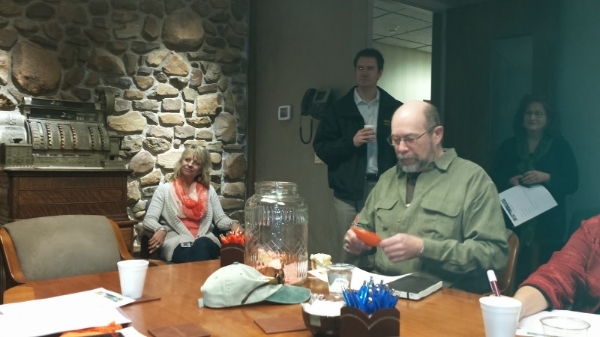 This months Coffee Social was held at SKT. There were door prizes, great food, and even a personal tour! Next months Coffee will be at the Clearwater Senior Community Center at 921 E Janet Ave. If you are a Chamber member and would be interested in having a Coffee Social at your business please let the Chamber know. You can email chamber@sktc.net or call the number 620-584-3366. This event is open to the public. It will be Saturday April 5th, 2014 from 7:00 am to 1:00 pm and located at 112 W Ross St in Clearwater. The meal is all you can eat: $6.00 for adults and $3.00 for children. There will be raffle prizes and the tickets for those are $1.00 each or 6 for $5.00. There will be Whole Hog sausage for sale at $2.50 lb. (bulk 1lb tubes) or patties $25.00 (10 lb box). Tickets and sausage for sale at the door or call Dale at 316-788-4196 for more information. Girls Scouts of KS are currently filling positions for Camp Staff right in our area, Starwoods Girl Scout Camp. This would be a great opportunity for teachers, paras, college students during the summer! If you are interested you can find out more information by clicking here. 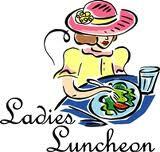 A reminder that the First Baptist Church's monthly Ladies Luncheon takes place on the first Friday of every month. The next one will be Friday, April 4th, from 11am - 2pm. This event is open to ALL ladies in the community, not just church members. If you have any questions, please contact Trish at 620-584-2058.